These before and after photos of Lake Oroville in Northern California show the dramatic results of extended years of drought. Funding support from the Energy Department to California’s Appliance Efficiency Program is lowering flow rates for faucets and showerheads as well as helping the state maintain a nearly constant level of electricity consumption per capita despite population growth. Energy and water are strongly interdependent in the U.S. economy. Electricity generation requires water, and water treatment and distribution require energy. The Energy Department has studied this water-energy nexus and it has funded state initiatives promoting both water and energy conservation. The Appliance Efficiency program is now part of California’s drought management strategy. The state is responding to this crisis with a variety of conservation measures, including new efficiency standards for appliances. Last summer, the state imposed stricter standards for showerheads and faucets. These standards for new showerheads are divided into two tiers. Tier 1 will establish a maximum flow rate of 2 gallons per minute, down from the current standard of 2.5 gallons per minute. It goes into effect July 1. Tier 2 will establish a maximum flow rate of 1.8 gallons per minute and it goes into effect in 2018. The first year after the Tier 1 update will see savings about 2.4 billion gallons of water, 13 million therms of natural gas, and 83 gigawatt hours of electricity. Once the old showerheads are no longer on the market, the update will reduce greenhouse gas emissions by 1 million tons of carbon dioxide equivalent annually—or approximately 190,986 passenger vehicles. The Tier 2 update will save an additional 1.4 billion gallons of water, 8 million therms of natural gas, and 49 gigawatt hours of electricity. Once the Tier 1 showerheads are no longer on the market, the update will reduce greenhouse gas emissions by an additional .6 million tons of carbon dioxide equivalent annually—or approximately 114,592 passenger vehicles. California has faced a drought of unprecedented magnitude since 2011. 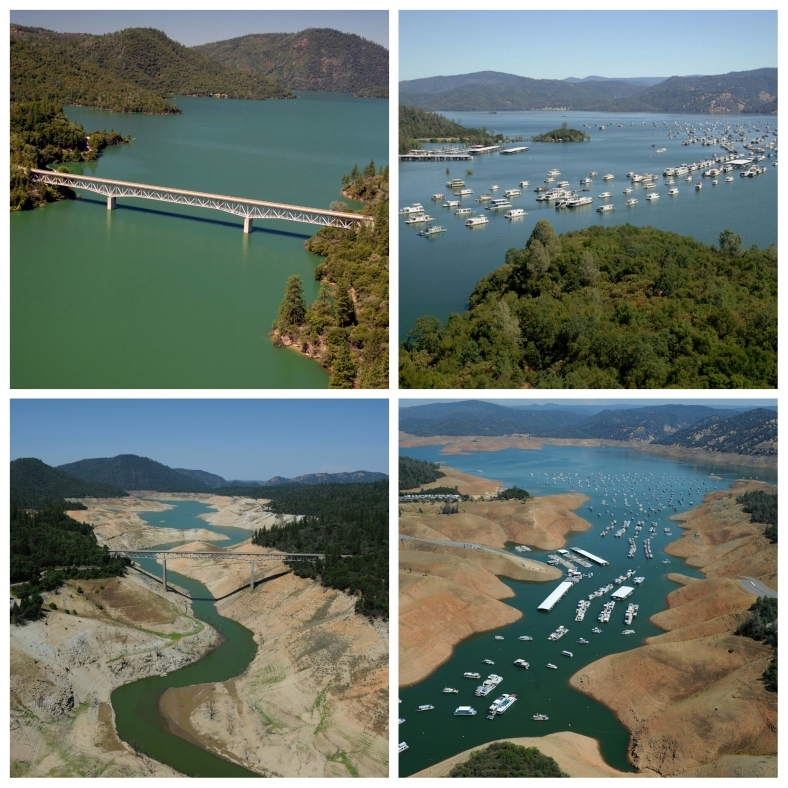 In early 2014, California Governor Jerry Brown declared a drought state of emergency. According to the U.S. National Oceanic and Atmospheric Administration, 2014 was the third driest year on record for the state. Through its support to a number of clean energy projects, especially the Appliance Efficiency program, DOE’s State Energy Program aims to help California reduce water and energy demand during this state of emergency. The Energy Department’s State Energy Program provides funding and technical assistance to energy offices in states and U.S. territories to advance local clean energy priorities while contributing to national energy goals. Learn how the State Energy Program is making a difference in other states: http://energy.gov/eere/wipo/listings/state-energy-program-success-stories.